Belgaum Urban Development Authority has called for tenders for construction of Basketball, volleyball and Lawn tennis courts at newly developed garden area in Scheme No. 13, T.V. Center, Belgaum. 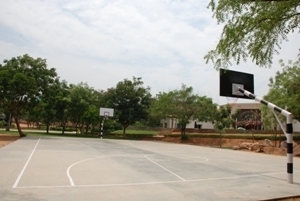 Construction of Basket ball court at newly developed garden area in Scheme No. 13, T.V. Center, Belgaum. Construction of Volley Ball Court at newly developed garden area in Scheme No. 13, T.V. Center, Belgaum. A time of 4 months will awarded from the time of issue of work order for the completion of the work. All the three would be outdoor courts. when does lawn tennis court is going to get open to play. As i am new in city i don knw where the garden area is pls guide me where it is. Just tell me any landmark near it. And when will tennis court will be ready?